The turquoise-colored Jeep Wagoneer is powered by a proper V-8 engine, making it a genuine blast from the past. Out of the seven wild concepts that Jeep and Mopar unveiled for the 52nd Annual Moab Easter Jeep Safari, the throwback-licious "Wagoneer Roadtrip" concept is by far one of the coolest and most original. Whether it's the exquisite color, the retro wheels, or that beautiful grille, the whole thing is pure Americana. Unlike the other Wrangler-based concepts Jeep built for the annual gathering, the Wagoneer Roadtrip doesn't have a dozen off-road lights, snorkels, or complex roll cages. The conservative build utilizes a 1965 Jeep Wagoneer that's been stretched five inches, and the body was updated to welcome the additional length. Painted-to-match fender flares house a wider front and rear track, plus 17-inch steel wheels wrapped in oversized, 33-inch BF Goodrich Mud-Terrain tires. In the real world, these upgrades alone would allow the Wagoneer to climb steeper boulders and dig through deeper mud than the average modern Jeep. 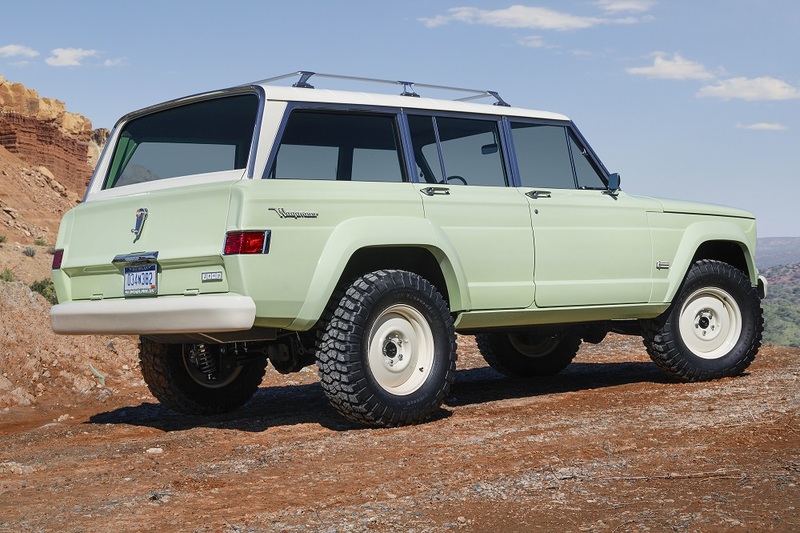 In order to boost its overall performance, the Wagoneer features a fully boxed and reinforced frame, Dana 44 front and rear axles with lockers, and last but not least, an advanced four-link suspension with coilover springs. The contents of the engine bay have also been overhauled, as the factory 230 Tornado OHC-6 engine was replaced with a mighty 5.3-liter V-8 that we can imagine produces a lovely exhaust note. 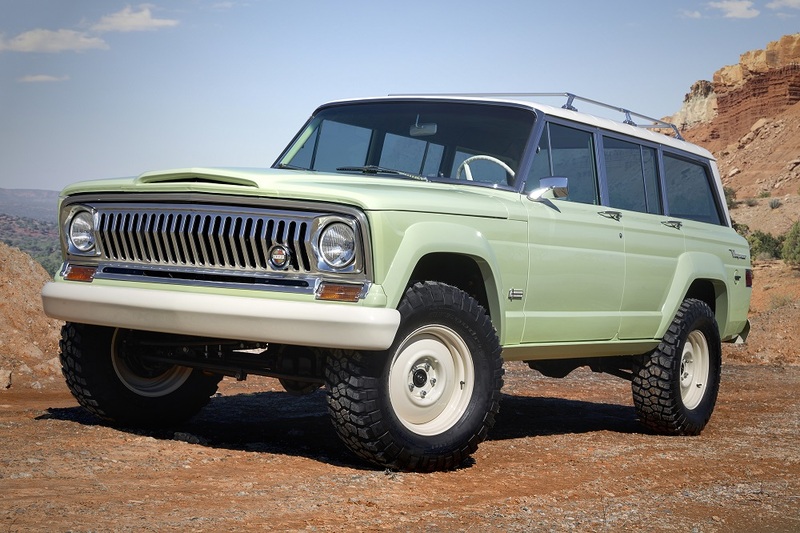 The concept retains the factory four-speed automatic because after all, the Wagoneer was the first-ever four-wheel-drive vehicle to be equipped with an automatic transmission. The interior is a real blast from the past, with original front and rear bench seats, door panels, kick, and rear panels that have been trimmed in Oxblood-colored leather. One of the coolest period-correct features of the build is its wicker headliner which gives the cabin an open and airy feel reminiscent of a removable top. Last but not least, Jeep designers went all-out and crafted a trunk toolbox from the metal of the original engine's valve cover. The purpose-built Jeep Wrangler boasts the perfect balance of looks, performance, and attitude. The 30-second spot brings to life the marvelous history of the iconic Jeep Wrangler. Don't expect it to land in the U.S. though.